Ute Spiekerkoetter, MD, paediatrician, is Medical Director of the Department of Pediatrics and Adolescent Medicine at the University Children’s Hospital in Freiburg, Germany. She is also Head of the center for metabolic diseases at the University Hospital Freiburg. Professor Spiekerkoetter is Medical Director of the Department of Pediatrics, Adolescent Medicine and Neonatology at the University Children’s Hospital in Freiburg, Germany. 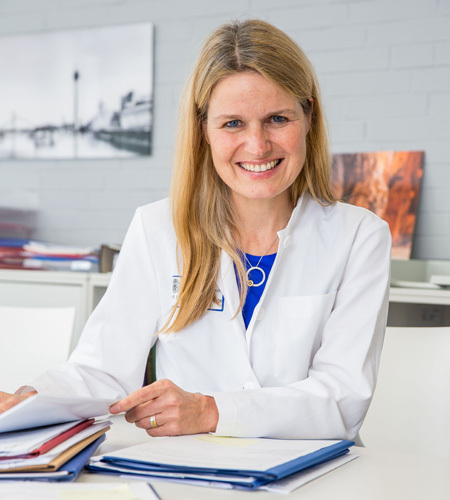 She specialized in Pediatrics and Metabolic medicine at University Children’s Hospital Duesseldorf, Germany. From 2001 to 2005, she completed her Postdoctoral Fellowships at Vanderbilt University, USA and at the University of Amsterdam, the Netherlands. In 2008 she became Professor of Pediatric Metabolic Diseases and Head of the Metabolic Unit at University Children’s Hospital in Duesseldorf, Germany. In 2012 she moved to Freiburg as Medical Director of the Department of Pediatrics. She is also head of the Center of Metabolic Diseases at Freiburg University including the Laboratory of Genetic Metabolic Diseases for the biochemical and genetic diagnostics of inborn errors of metabolism. Her research is mainly focused on mitochondrial fatty acid oxidation disorders with a particular interest in disease pathogenesis and new treatment approaches. Prof. Spiekerkoetter is a paediatrician, metabolic specialist and active researcher and has worked in the field for more than 20 years.